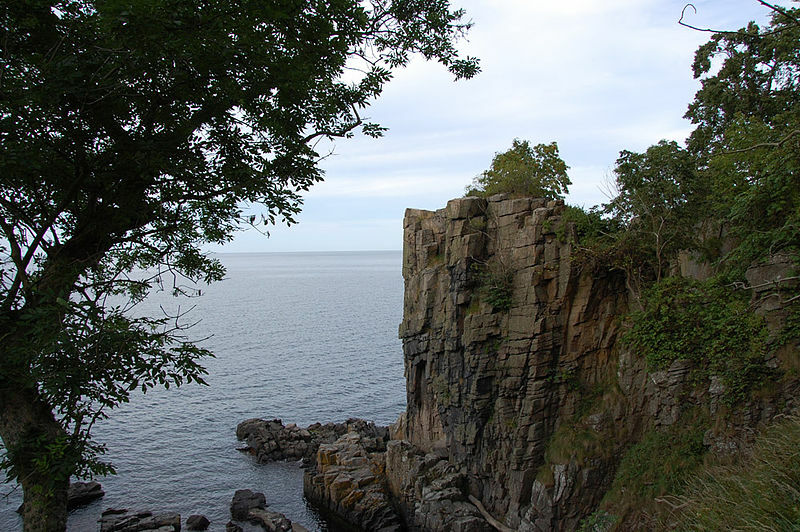 Helligdomsklipperne (Sanctuary Rocks) are a group of rocks on the island of Bornholm, Denmark, 6 kilometres (3.7 mi) from Gudhjem and 4.9 kilometres (3.0 mi) from Tejn.They are characterised by moderately high coastal cliffs of sharp granite and are about 22 metres (72 ft) high. The name of the rocks originated in the Middle Ages when there was a holy spring close to the coast which attracted pilgrims, especially on Sankt Hans Aften. 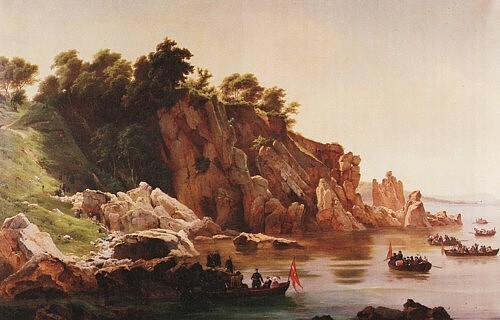 During the ice age, much of today’s coast was below sea level but when the ice melted, the island itself was raised leaving this part of Bornholm’s coast some 20 meters above sea level. Coastal cliffs with deep caves and steep craggy granite pillars are typical of this area of the coast as a result of many years exposure to the weather. To the southeast the Kyststi or coastal path leads to the well preserved Døndalen Woods. It is a popular tourist attraction, accessed by boats from Gudhjem harbour. Steps lead from the coast up to the Bornholm Art Museum. The “holy” character of the area originated in the Middle Ages when a chapel named Trefoldighedskapellet (the Trinity Chapel) stood on the field directly above the rocks. At the foot of the cliffs, there was a spring of holy water which was brought up to the chapel for all those hoping to be cured of their illnesses, especially on Midsummer’s Night. An account from 1806, however, describes that there was so little water in the spring that a woman was paid each Midsummer to fill it up with water from the sea.